Have you ever lost your cool in an argument on social media ...me too. Usually because the OTHER person is refusing to live by the FACTS I am offering. Well it's a FACT that attempting to change a belief by bombarding it with facts is ineffective ...so I guess I am the one not living by the facts. 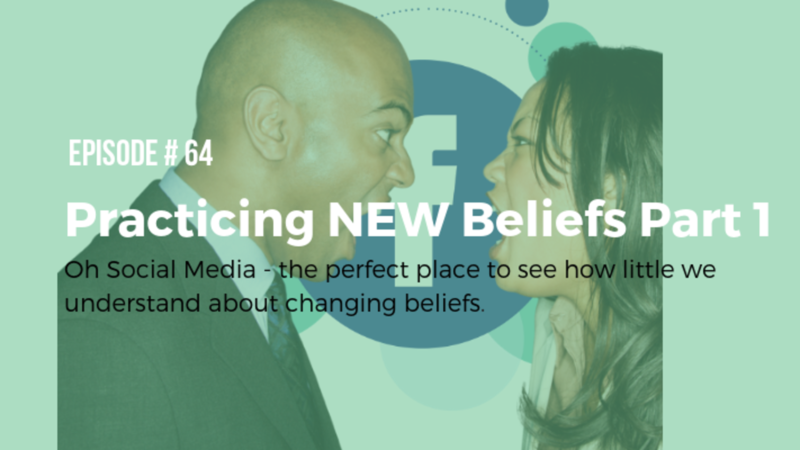 The same is true with the beliefs we want to change in our OWN MIND. Have a listen and let's get this sorted out. As 2018 comes to an end, Whitney and Jake invite you into the conversation as they look back at the fears that threatened to keep them stuck in 2018. Enjoy the conversation ...but more importantly, let it spark your own. 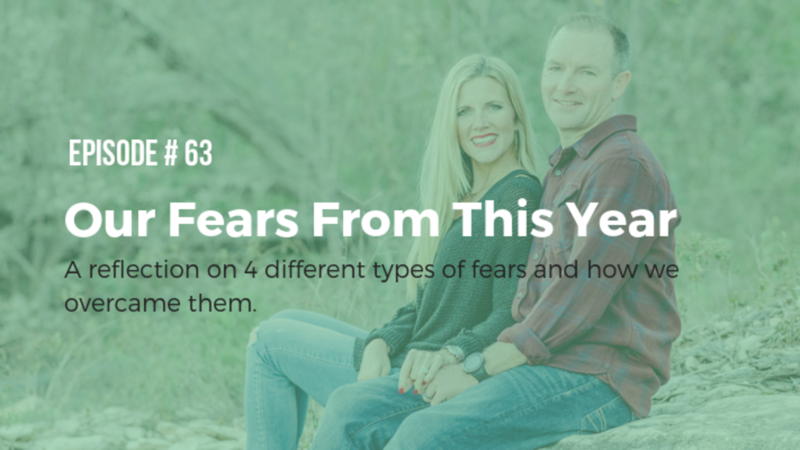 What did your relationship with fear look like this year? How will it look next year? The is an alternative to resisting fear. In the work we do with clients we refer to the facts of a situation as "the C-Line". 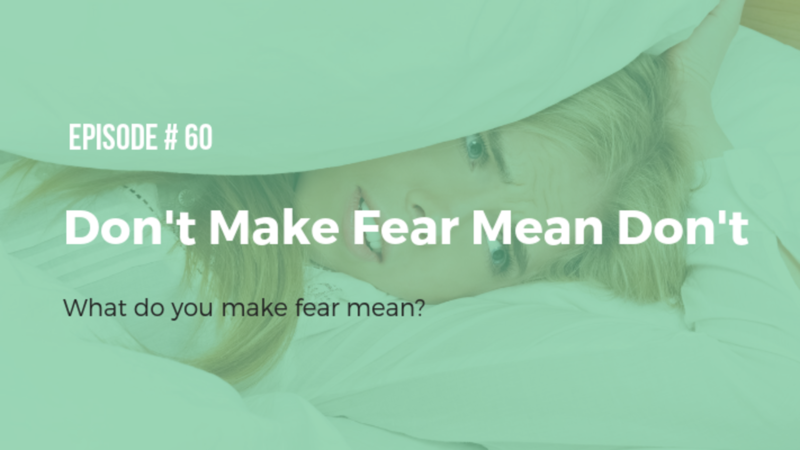 Even thought fear is an emotion, what if you decided it was a fact? 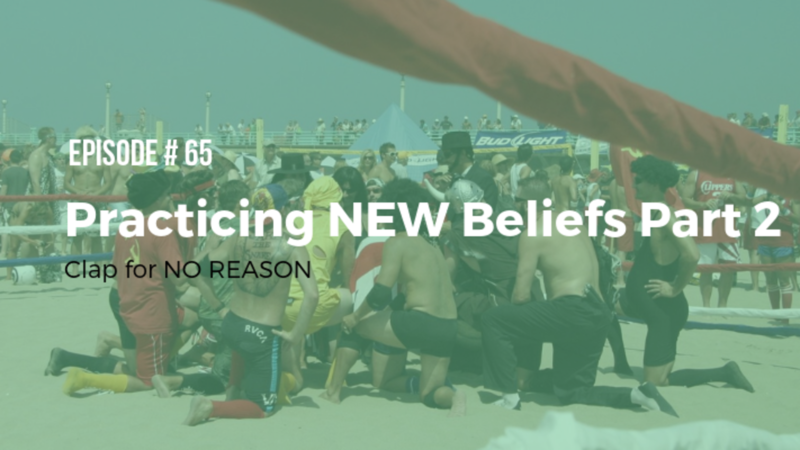 What if you decided that resisting fear was as silly as resisting time? What are you scared of? ...the list is pretty standard. Spiders, snakes, clowns, the dark, and tight spaces. My guess is that THOSE are not the fears that are keeping you from your dreams. 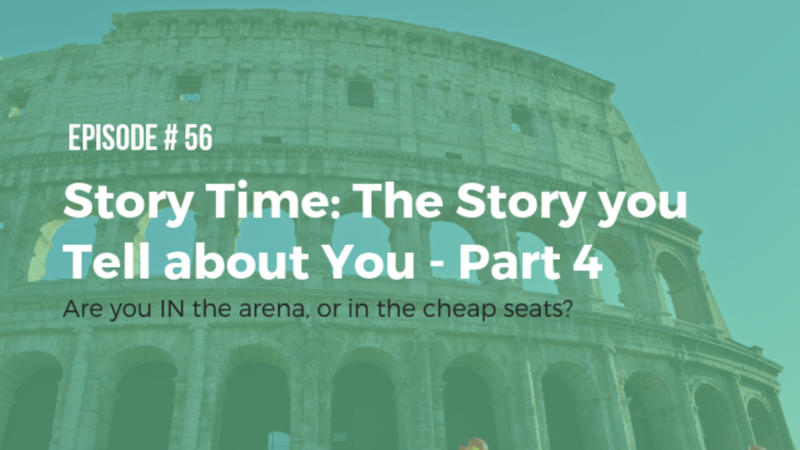 In this episode, we get REAL about the REAL fears that keep us from pursuing our passions, keep us stuck in relationships that aren't healthy, or have us continuing to work at a job that makes us feel small year after year. 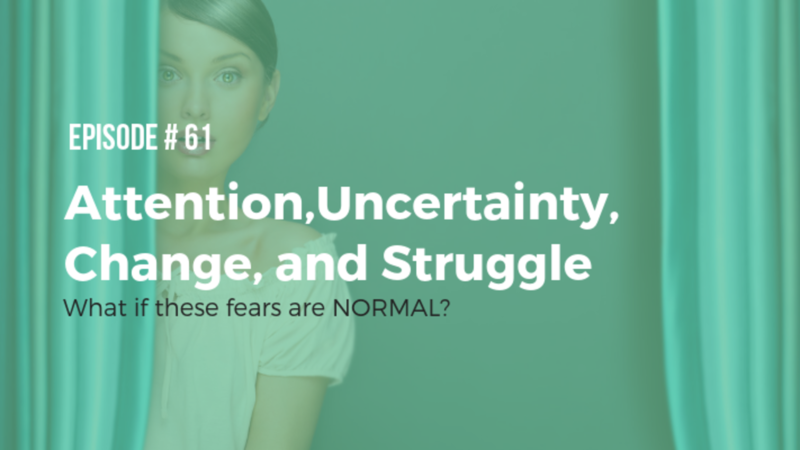 What if you could be free from THESE fears - or at least free from they power they wield in your life? Then what would be possible? 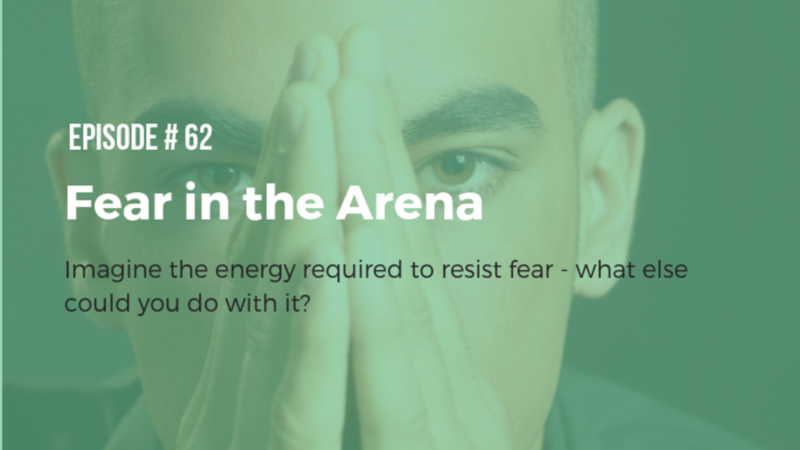 When you look at the role fear makes in your decision making, do you ever give it magical powers? Sometimes I do. I'll have an idea about something I can build or create. Maybe a unique way that I can offer value to the world - and I'll feel fear. Then I have thoughts ABOUT that fear like - "Oh man, I wonder why I'm scared - maybe I should wait on this." or "I have a bad feeling about this, maybe I shouldn't do it." When I stop and reflect on my logic ...logic which I often categorize as "being realistic" by the way, I am giving my fear this sort all knowing power about the future. I am making my fear a supernatural power that can tell me if my present choice will pan out or not. Isn't it interesting how it always says, "No ...you'll probably die." Responsibility is not blame - responsibility is your ABILITY to respond, it is taking ownership of reality instead living within the fantasy of what SHOULD be. Responsibility and Freedom are directly proportional - the more responsibility you take in your life, the more freedom you experience. When that responsibility is connected to being hurt or offended, we call it forgiveness. Forgiveness is about CHOOSING to let go of the IMPACT of an event. It’s offering yourself the opportunity to regain the energy that’s wasted when you hold on to the hurts, the slights, and the pains of the past. We also have PERSONAL "traditions" we are working on - eating healthy, working out, being grateful, forgiving quickly, journaling, meditating, prioritizing self-care, or maybe you are training daily to become a super hero and fight crime. 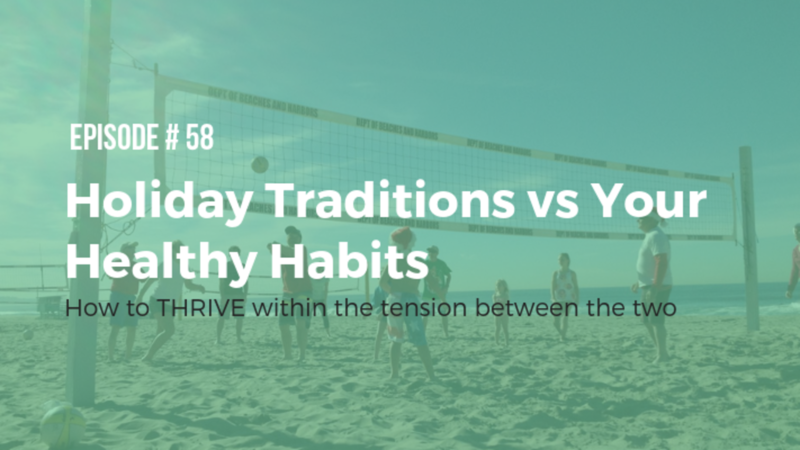 There is often a tension that exists between our HOLIDAY traditions and our PERSONAL traditions - this podcast is all about learning to THRIVE within that tension. We all have HOLIDAY traditions we love - opening presents on Christmas Eve or waiting for Christmas morning, making gingerbread houses at Thanksgiving, putting up Christmas decorations on Black Friday (or November 1st in my case), or maybe you like to eat 2 entire pies on Thanksgiving Day. My family has celebrated the holidays with church services, gifts, lip-sync contests, polka dancing, sporting events, Christmas cookies, movie marathons, sleep-overs, all night video game marathons, trips to Disneyland, family skits, days at the beach, hiking, rock climbing, Christmas light walks, truck bed caroling through the neighborhood, and even Taco Bell. We've tried turkey, ham, clam chowder, and prime rib! There have been Corn Flake cookies, date cookies, cookies in the shape of Santa, trees, snowmen, and bells. One year, my cousin and I even decide to start a business selling fake snow by chipping away at the styrofoam packaging in my grandparents' basement. There have been gift exchanges with a variety of "rules". There have been years when the gifts were plenty, and years when they were scarce. We've tried ALL attending the same church services and doing our own thing. The first time I heard this famous quote from Teddy Roosevelt I was in Mr Barry's class in high school in 1991. He was an inspirational teacher to me and this quote connected with me on a deep level. There was a seed planted that day - and in 1995, it became the permanent "rule" for the filter of my life story.